After David Kim (John Cho)’s 16-year old daughter, Margot (Michelle La), goes missing, a local investigation is opened and a detective is assigned to the case. 37 hours later and without a single lead, David embarks on a desperate search through Margot’s digital life - just how well did he know his daughter? 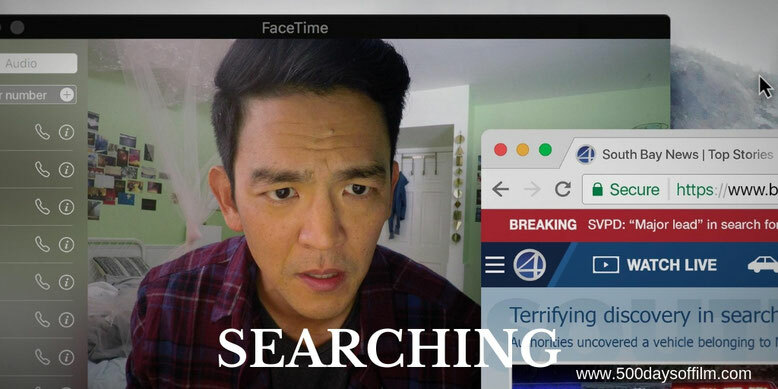 Searching is an entertaining, gripping and structurally impressive thriller featuring a powerful and compelling central performance from John Cho. However, Searching is more than just the sum of its plot. Aneesh Chaganty’s film is also a thought-provoking and poignant examination of family and an intriguing look at our increasingly digital lives - exploring who we are, what we reveal and how we choose to portray ourselves online. Cinema is, of course, full of missing persons mysteries. What sets Searching apart is how the movie chooses to tell its story: by way of the screens and technological devices that punctuate our daily lives. In addition to a number of innovative narrative screens, we watch David and Kim interact via Facetime and iMessages and we understand their family background thanks to archive video files (an early montage is particularly well handled). This is far from the first instance of screen-based storytelling but it is, nonetheless, extremely effective. There were moments when Searching could have faltered in its ambition - moments when the film could have strayed into dangerous gimmick-territory. However, Chaganty keeps his eye on what really matters - his characters and David’s journey. The movie’s first two acts are remarkable for flowing without jarring artifice. The rather exposition-heavy conclusion starts to feel the strain, but by this point we are more than on board. For, as clever as Searching undoubtedly is, in the end we just want to know what David wants to know - what happened to Margot?